Dr. Korman's clinical interest is in the diagnosis and management of patients with scleroderma and other related autoimmune connective tissue diseases. He works to provide interdisciplinary care for patients including addressing problems with skin (fibrosis and thickineng), blood vessels (Raynaud's phenomenon), gastrointestinal issues (acid reflux, GI motility problems), lung disease (interstitial lung disease, pulmonary hypertension), heart, and kidney problems. He is interested in providing individualized care and is well versed in cutting-edge immunotheraputics as well symptom-relieving modalities. Dr. Korman's research program focuses on understanding the cells and processes which cause scarring (fibrosis) in scleroderma. He uses both experimental models of disease and patient samples to better understand the relationship between adipose (fat) cells, blood vessels and scar-forming cells (fibroblasts). The ultimate goal of this work is to better understand why patients have different disease manifestations and to provide personalized treatment approaches. Dr Benjamin Korman, M.D. is a rheumatologist and physician-scientist with a clinical and research interest in scleroderma (systemic sclerosis, SSc). Dr Korman did his undergraduate and medical training at The Ohio State University, followed by research time at the National Institutes for Health, and internal medicine residency and rheumatology fellowship training at Northwestern University in Chicago, IL. 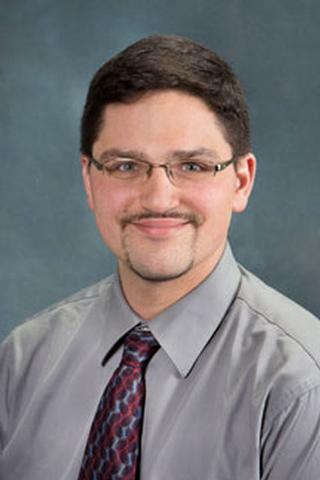 He spent two years on the faculty at Northwestern before coming to the University of Rochester where he now serves as an Assistant Professor in the Department of Medicine, Division of Allergy, Immunology, and Rheumatology. Gourh P, Remmers EF, Boyden SE, Alexander T, Morgan ND, Shah AA, Mayes MD, Doumatey A, Bentley AR, Shriner D, Domsic RT, Medsger TA, Steen VD, Ramos PS, Silver RM, Korman B, Varga J, Schiopu E, Khanna D, Hsu V, Gordon JK, Saketkoo LA, Gladue H, Kron B, Criswell LA, Derk CT, Bridges SL, Shanmugam VK, Kolstad KD, Chung L, Jan R, Bernstein EJ, Goldberg A, Trojanowski M, Kafaja S, Maksimowicz-McKinnon KM, Mullikin JC, Adeyemo A, Rotimi C, Boin F, Kastner DL, Wigley FM. "Brief Report: Whole-Exome Sequencing to Identify Rare Variants and Gene Networks That Increase Susceptibility to Scleroderma in African Americans." Arthritis & rheumatology.. 2018 Oct 0; 70(10):1654-1660. Epub 2018 Aug 29. Korman B, Marangoni RG, Lord G, Olefsky J, Tourtellotte W, Varga J. "Adipocyte-specific Repression of PPAR-gamma by NCoR Contributes to Scleroderma Skin Fibrosis." Arthritis research & therapy.. 2018 Jul 11; 20(1):145. Epub 2018 Jul 11. Korman B, Alejo R, Sudhakar D, Hinchcliff M, Agrawal R, Varga J, Marangoni RG. "The novel adipokine C1q-TNF related protein 9 (CTRP9) is elevated in systemic sclerosis-associated interstitial lung disease." Clinical and experimental rheumatology.. 2018 36 Suppl 113(4):184-185. Epub 2018 Aug 28.